Imagine the scene, it’s Saturday night down at the Disco, the girls are dancing around their handbags hoping the dishy guy they’ve got their eyes on might come and ask them to dance. The guys meanwhile are debating who is going for which lady. The DJ slows down the music and it’s time for the guys to make their moves, what’s the first question they ask? You get on well but at the end of the evening there’s still no marriage proposal! However you do swap phone numbers and if you’re lucky he’ll call you in a couple of days to arrange the first date. And so the relationship begins. More dates follow and you get to know and understand each other better. Maybe love grows or maybe you decide that the chemistry isn’t there and you should be ‘just good friends’. 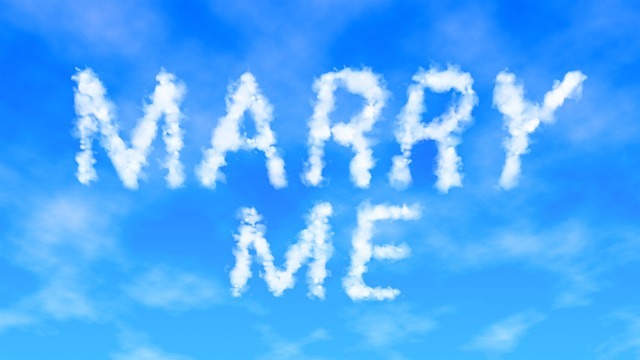 How long did it take to get to that marriage proposal; weeks, months even years? Attending a networking event is much the same as going to the disco on a Saturday night. Fortunately the women are not dancing round their handbags with the guys ogling them but attendees are checking each other out with a view to building a relationship or I hope they are. But we’re building relationships not asking for someone’s hand in marriage or a big purchase, at least not yet. Ultimately we’re hoping for a strong relationship that will lead to our business growth but we’re unlikely to get to the big sale at the first time of meeting. The bigger the commitment in money, time or other resources the longer we’ll have to wait and the harder we’ll have to work. So how do you make networking work? Just like our guy at the disco the future is in the follow up. If he doesn’t arrange that first date the relationship is going nowhere. If you don’t follow up with the people you met then neither is your relationship. So you have our business cards, use them. Send an email, connect on social media or arrange a one to one. How can you help the people you met? Again you may not be ready to pass on contact details to your nearest and dearest yet until you’ve built more of a relationship so what is your next step? Have you integrated your networking into your marketing plan? It’s very easy to plot the time to network into our diaries without mapping the time for follow up. We need to make the follow up personal but if it takes even just 10 minutes to follow up with say 20 people in the room you could be looking at half a day’s work, so how can you make it easier? Having a standard email which you can top and tail with personalised first and closing paragraphs will save time. Booking a one to one before you leave the meeting will save you time. Why not book one for immediately after the next meeting then you can kill two birds with one stone? Connect on social media so you can quickly comment and share each other’s posts and build a relationship that way. Awareness: explain what you do including results/benefits your clients enjoy. Decide what action you want attendees to take and make sure you have some marketing material to move people into further understanding should they wish. Interest: share a story, case study or testimonial. Offer a sample or trial. Arrange a1-2-1 Work on building trust. Help people to understand more about your business and how it might apply to them or someone they know. Desire: Regulars now understand much more about what you do so remind people of the benefits your clients enjoy and the results you achieve for them. Offer an incentive for immediate action. Consider adding value or maybe offering a discount on first purchase to encourage people to commit. Action: So now you have a customer; celebrate! With your customer’s permission explain how you’re working together. Ensure that you show customer in a good light, don’t say how rubbish they were until they met you. Promote them. Big them up so they feel good about themselves and their decision to buy and then they’ll be ready for the next stage. Advocate: Ask your existing customer to do your one minute pitch for you as a testimonial. Give them a helping hand if need be so that they really get to the benefits of working with you. Clearly with a mixed audience of new connections and established relationships you’ll have to think carefully about how you present your business so seat of the pants introductions are not the best idea. Plan ahead and be clear what you want to achieve for best results. Make your dates interesting and fun. If our guy only ever takes the girl he met at the disco to his local pub for a date the relationship is likely to be a bit one dimensional and unlikely to lead to marriage. It’s the same if the only contact you ever have with a prospect is at networking events, you’re unlikely to develop a wider understanding of each other’s businesses. Our couple will get to know each other better over shared meals; it’s the same with prospects. Leave your phones behind and concentrate on a proper conversation over lunch. Our girl would love the occasional floral gift and your prospect will love a sample or maybe a copy of an interesting article. Think what they would value. Before my time couples used to write love letters to each other, now it’s texting or similar. Think what sort of regular communication your prospect would like to receive. Be careful though because Facebook messages can be really irritating as can unsolicited emails etc. Ask your prospects how they would like to hear from you. Hopefully the relationship is developing nicely and we’re now moving towards that marriage proposal. Remember she can’t say ‘yes’ if you don’t ask the question and your prospect won’t either if you don’t ask for the sale or the referral. So think how you will do that in a way that would be hard to refuse. 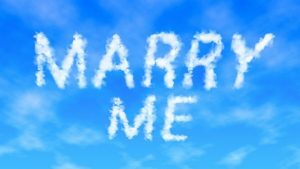 Few guys would pop the question, especially publicly, if they aren’t pretty sure of the answer so make sure that you only ask when you know how your prospect is ready to buy. Many, many years ago I met a guy on a Club 18-30 holiday. He wasn’t my type but he lived in Ealing and my sister had just moved there and was struggling a bit to make friends so I asked if I could bring her along to the holiday reunion. The guy I met in Elounda has now been my brother-in-law for over 30 years! Please don’t forget that the relationships that you are building today may not be with your future customers but with people who can refer good business to you. So think what you can do to make it easy for people to refer you. Maybe including sharing links in your newsletters or blog posts, offering an introduction marketing package or run a free webinar and include a referral link for your contacts to share the details. Incentivise people with some form of referral bonus. So develop your marketing plan to lead your prospect to your altar and if you would like some more marketing tips please sign up to my mailing list. I promise not to ask you to marry me anytime soon! Glenda Shawley is the owner of The Training Pack and author of Founded after 40: How to start a business when you haven’t got time to waste, published by Practical Inspiration Publishing and available at Amazon £14.99. She is a firm believer in the power of networking but understands that it’s a long game and pushing for sales too soon will lose you more business than you gain. Excellent analogy with some great points Glenda! Spot on Glenda! So many people walk into networking events like sharks wanting a meal. Sadly, this type of networker doesn’t even get another appointment..